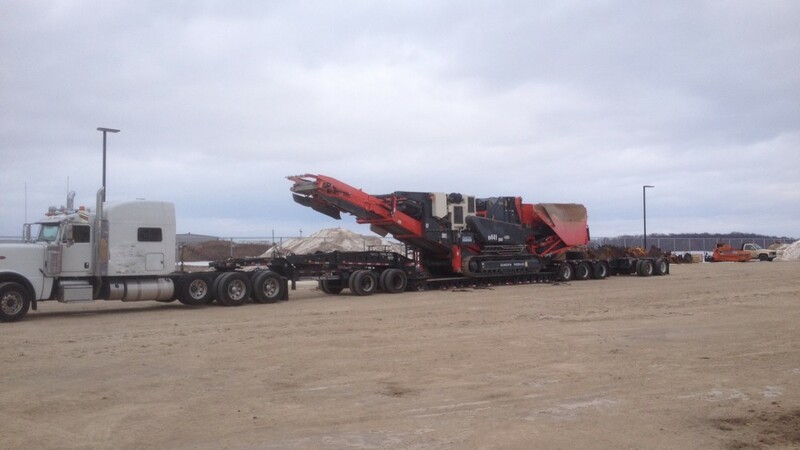 This month, we moved an incredible mobile crusher using an 11 Axle RGN from Wisconsin to Texas. The crusher was 51 feet long, 10 feet wide, 12 feet high, and weighed 116,000 pounds, making it a super load, and was valued at $800,000! Our team of expert logistics coordinators were able to get this picked up and delivered without any issue!